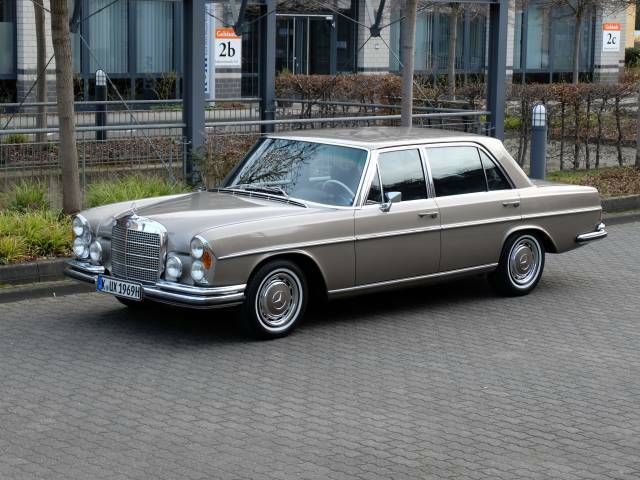 The Mercedes-Benz W109 was a luxury-class model from Mercedes-Benz and from 1965 to 1972 in production and had consistently an air suspension that corresponded to the Mercedes 600. 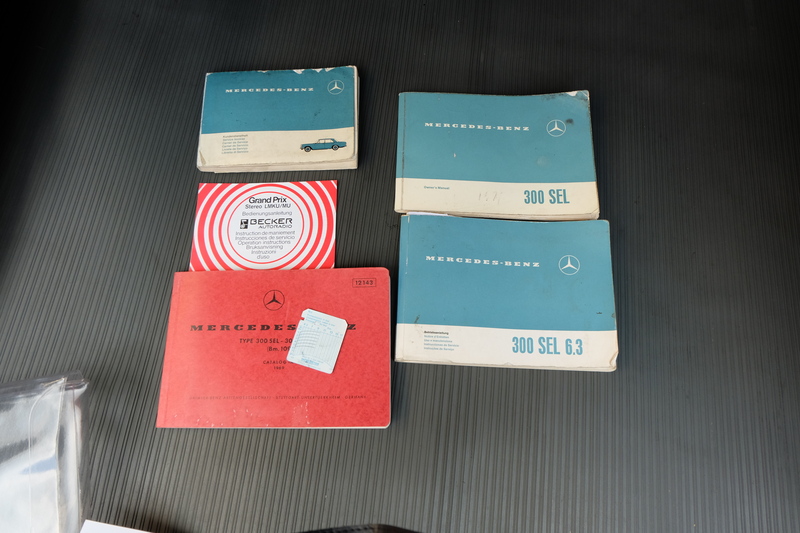 In August 1965 a new generation of the upper class was presented with the types 250 S, 250 SE and 300 SE, which was to succeed the tail fin types W111 and W112 (220 Sb, 220 SEb, 300 SE). All three models had in common a body designed by Paul Bracq, whose clear lines dispensed with fashionable accessories and whose timeless elegance still looks timeless today. The W108 / W109 series has disc brakes all around, an advanced detail compared to many other contemporary automobiles. The production of the overall very successful series ended in September 1972. 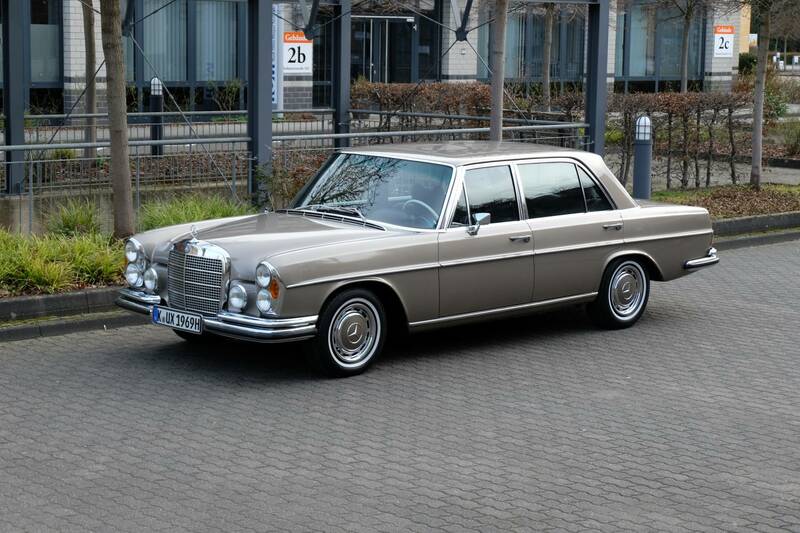 As a successor acted the "S-Class" models of the series W116. The W109.016 with the 2.8l 6-cylinder engine replaced the 3.0l aluminum engine, as it was more expensive in production and use. The performance increase of 10 hp compared to the 280 SE Coupes. 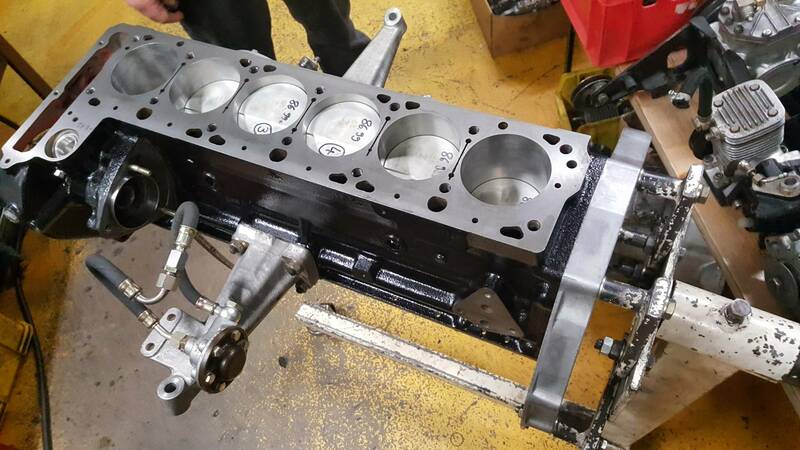 This new 2.8l engine was similar to the one used in the 280 SL Pagode, the increase of 10 HP was realized by another camshaft and a customized injection pump. From May 1969, a facelift was performed and the new 4-speed automatic gearbox was installed, which now always start in 1st gear at start and has softer gear switches. The vehicle shown here is already a facelift car, recognizable by the wide transmission tunnel. This Mercedes 300 SEL / 109.016 spent his life in Switzerland and was regularly maintained there. The receipts fill a folder. We have subjected the car at the respected company AI Motors in Stutensee a total technical retreading. The engine has been completely disassembled and repaired, the gear box sealed, the steering and rear axle repaired and rebuilt to a longer 3.46 gear ratio, so now relaxed cruising on the highway is a pleasure. 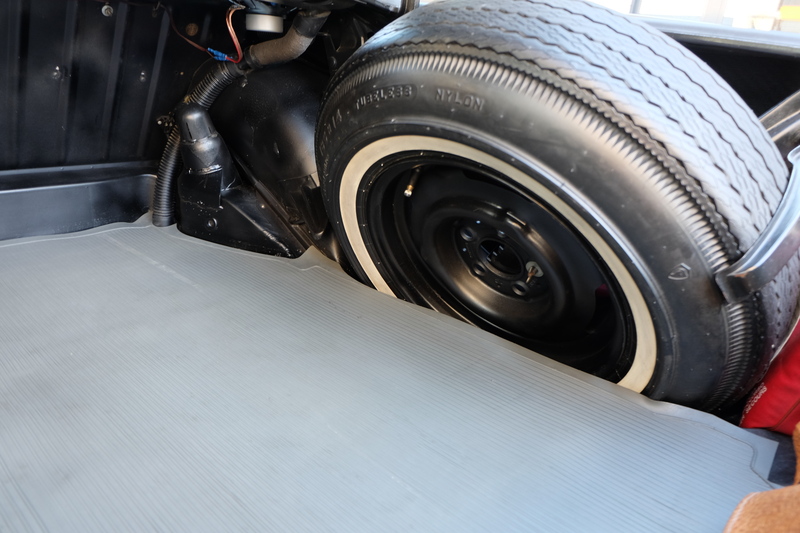 The front axle and the air suspension were overhauled. The car is 100% completely rustfree and rustproofed. The paintwork was renewed in 1989 in Switzerland and looks wonderful. The club velour in dark brown the carpet in two-tone velour and the wood in Macassar are completely original. The subfloor resembles that of a year-old car. She drives fantastic, seat in and drive, no repair backlog. Through the light and powerful 6-cylinder engine, the car drives light-footed, she drives through air suspension, anti- dive system, radial tires and power steering playfully, yes modern and safe. A fresh TÜV full report is available. The Becker Grand Prix stereo radio was overhauled at Radio Koenig and provided with mp3 connection & USB socket. The underbody and structure were also treated with wax for rustproof . 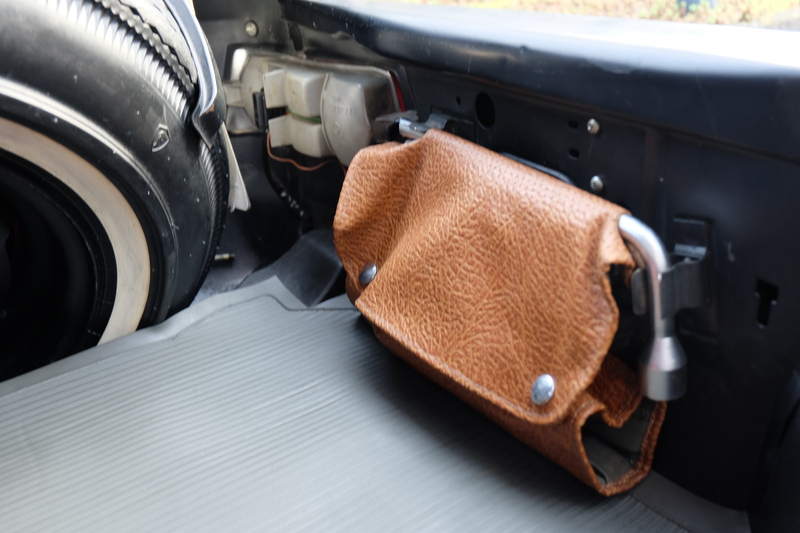 With a complete on-board folder, tools and new wool velour protection mats.For more comfortable long distance touring we had a longer rear axel drive ( 3.46 ) installed. This lowers the revolutions, the car is more quiet and the engine will not rev so high when driving fast. There were over 38.000, - invested. The list of works carried out comprises 236 items and will be given to you gladly. The vehicle is sold with a 12-month warranty.